Japanese exhibitor T-Joy and internet marketing company Bluem Inc. have launched a campaign to boost admissions by giving the public a chance to request films on the big screen. Dubbed Dream Pass, the campaign employs Twitter and a dedicated website to allow moviegoers to mount their own screenings at T-Joy’s flagship Wald 9 multiplex in Tokyo’s Shinjuku district. Between Aug 9-17 Twitter users follow the Dream Pass account, retweeting the concept while adding their own request. When the Dream Pass site goes live on Aug 17 users choose from a final list of 100 titles. 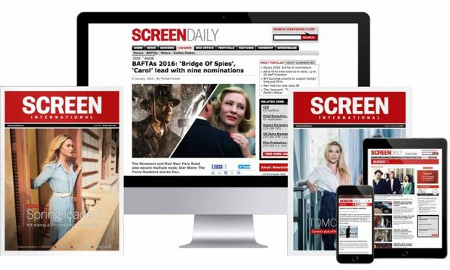 Titles that reach a certain number of pre-buys, aided by users tweets, will have their screening confirmed. While it’s unclear whether the list will be solely based on the most popular tweets, only films with existing Japanese distributors will be eligible initially. Since the launch there have been approximately 6,000 requests ranging from Studio Ghibli titles, to French New Wave classics, to Hollywood and Bollywood blockbusters. Requests are not limited to feature films, with ODS (“Other Digital Stuff”) contents such as TV dramas and concerts also potential choices. “Dream Pass will also allow cinemas to offer more challenging programming,” stated Igarashi. While group purchasing is popular in Japan on auction websites such as Yahoo! or Rakuten, Dream Pass marks the first instance of the scheme in the film exhibition arena. T-Joy was the territory’s first exhibitor to employ digital film distribution technology and live ODS broadcasts via satellite. Wald 9 was Japan’s first all-digital multiplex. This April, T-Joy subsidiary Amazon Laterna and Korean film industry major CJ Entertainment officially launched joint venture CJ Entertainment Japan. The partnership aims to increase investment, co-production and distribution of Japanese and Korean films in both territories.